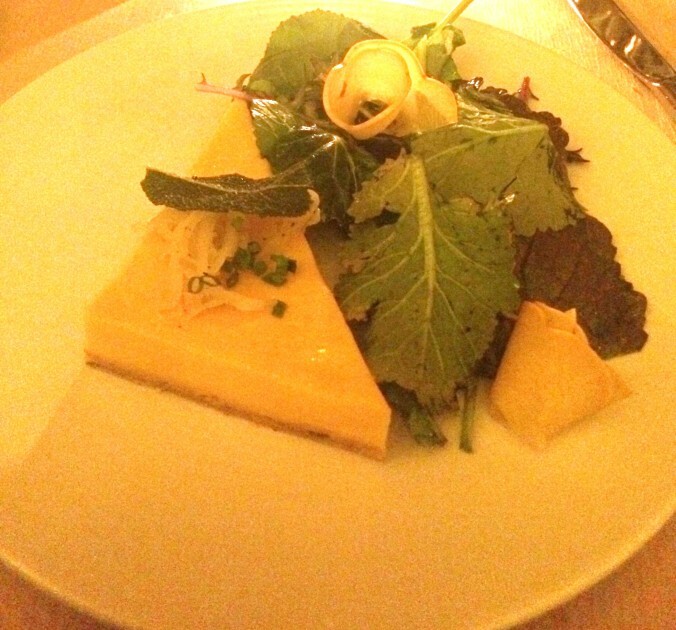 The Restaurant Dieter has no earthly clue how many Weight Watcher points to assess for a recent five-course tasting menu at Bacchanalia, nor does he care. This is a restaurant and a menu that can be endorsed for dieters without hesitation. Among the 32 items from which one selects five, there was at least one good choice for each course. The portions were so modest that even if decadent, the damage wouldn’t be too bad. Nobody blinked when I brought in my own Fresca because Diet Coke has so much caffeine. The staff whisked it out of sight and refilled my glass until the can was empty, just as if I’d brought in a very special bottle of wine from home. 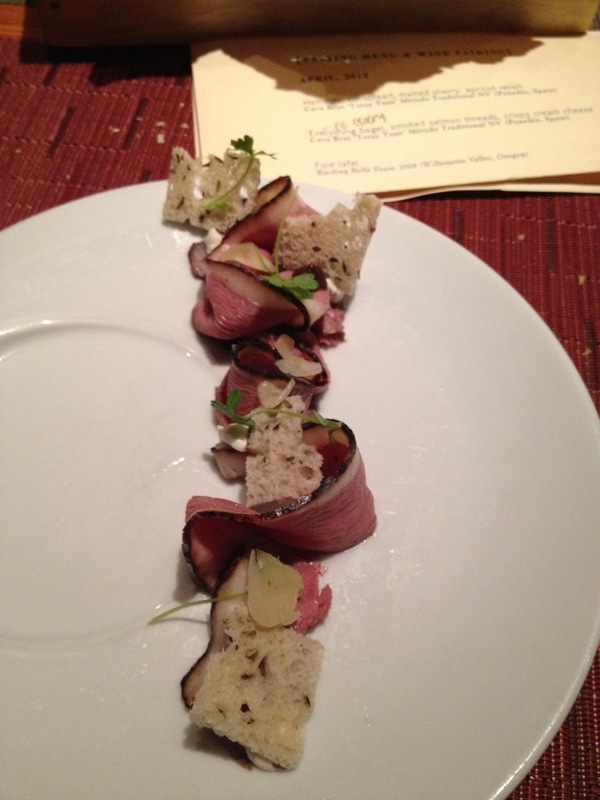 At $85 for five courses, it was an extremely well priced tasting menu. The server was among the best ever encountered. Note: WD-50 closed late in 2014. The Restaurant Dieter has been dreading this review. It will rain on his spouse’s parade. I hate harshing his mellow. Really. The Restaurant Dieter’s spouse collects interesting and unusual restaurant experiences like a scout collects merit badges. 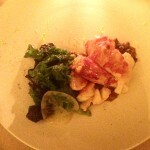 If a restaurant has been featured on the New York page of Eater.com, it’s a must-do. Ditto for something on Food & Wine’s top restaurants list or the subject of a positive review in the New York Times or New York Magazine. You’re probably familiar with the term if you’ve seen “Top Chef.” Its practitioners may be heavily gloved and wearing goggles, pouring a vat of smoking liquid nitrogen over something. Or they may be mixing up magic powders with food to create something that looks completely unlike food. The phrase “mad scientist” comes to mind. Molecular gastronomy makes use of substances such as transglutaminase (a protein binder called meat glue) and , for thicking, something called hydrocolloids. At Gastroarte in New York City, a deconstructed salad came to the table dusted with olive oil powder, which was likely created using something called maltodextrin. What’s that they say about pre-packaged food? If the ingredients on the label don’t sound like food, you shouldn’t eat it! Tell that to the TRD Spouse. 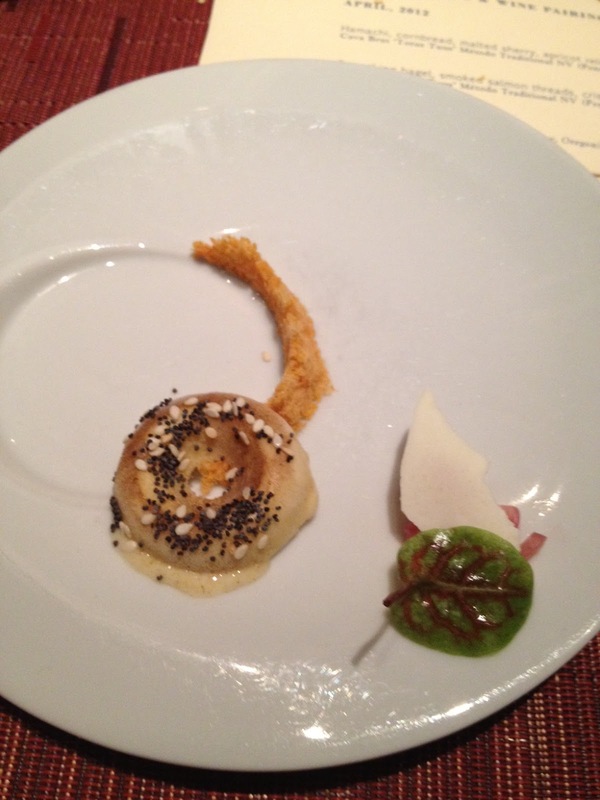 My first brush with molecular gastronomy came on a visit to Chicago. 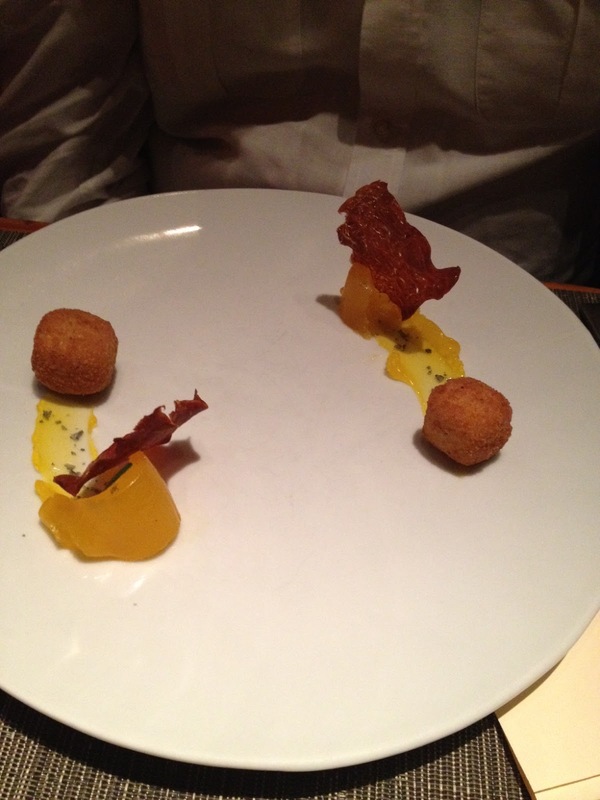 The TRD Spouse had snagged a reservation for four at Alinea, a hilarious experience — er, meal — that I recounted in a previous blog post. When it comes to hilarity, WD-50 served up an 11-course chef’s tasting menu that didn’t disappoint. There was a miniature “everything” bagel that was actually ice cream with the flavors of garlic, onion and poppy seed, accented by a smoked salmon powder. A duck breast Reuben arrived looking like a DNA strand. Eggs Benedict consisted of a jelled egg yolk, English muffin chips and two deep-fried balls of Hollandaise sauce. 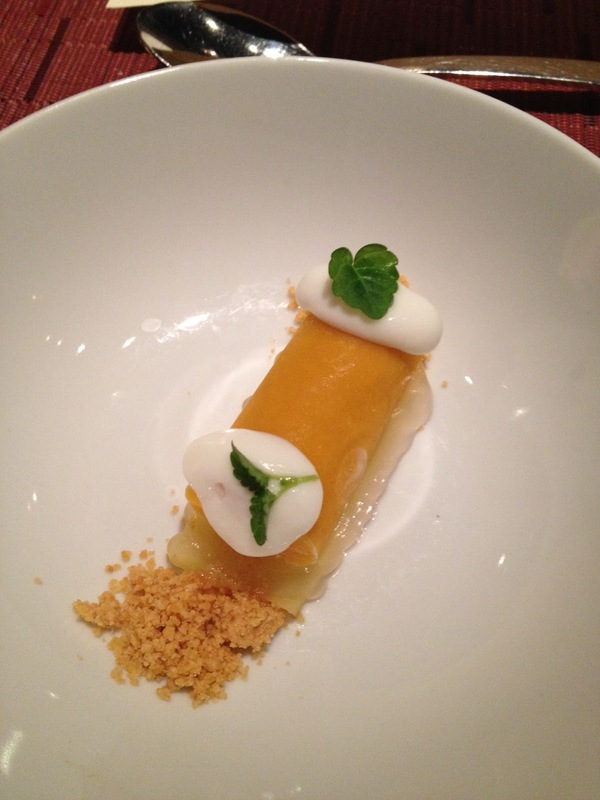 One of the dessert courses was a paper-thin slice of mango, filled with a sake caramel (! ), dots of sheep’s milk and again in powdered form, cashew. 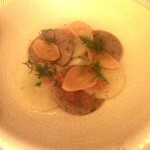 Because there’s little control over what you’re served, it’s rarely a good idea for a dieter to order the tasting menu. But the house rules almost always require all persons at the table to partake. They figure that it will be awkward if somebody has three normal-sized courses and sits there while a parade of small tastes proceeds. And so, for the sake of domestic harmony, I complied. Knowing that the caloric intake would be unpredictable, the rest of the day I restricted myself to high-fiber, low fat proteins and vegetables. 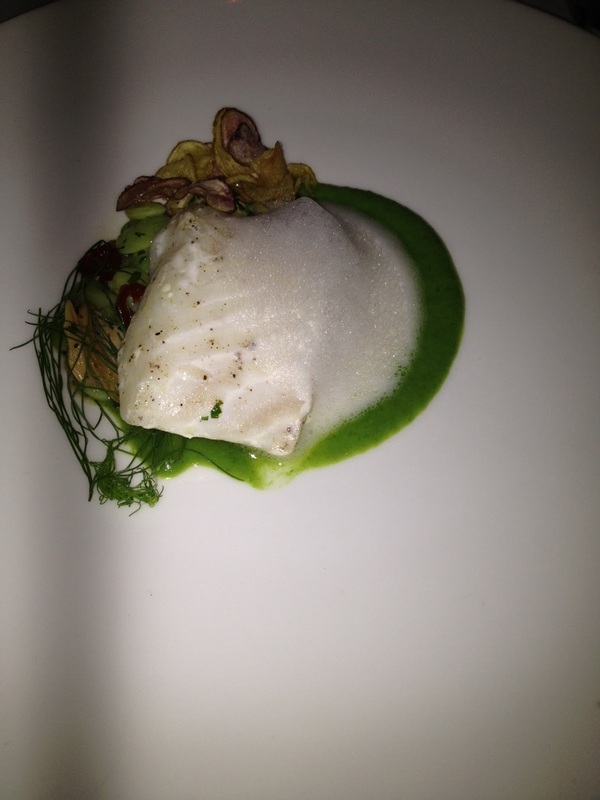 The funny thing about a meal like this: Even with 11 courses, nothing really satisfies. Each bite plays sight and taste games, but that’s it. They’re clever, but nothing sticks. After a meal like this, I’d say there’s a very real danger of stopping off for a hamburger. I was tempted.